Hi, a while back I have written a tutorial about building contact form in codeigniter. It got great feedbacks and some of the readers asked about implementing the same feature in modal popup form. 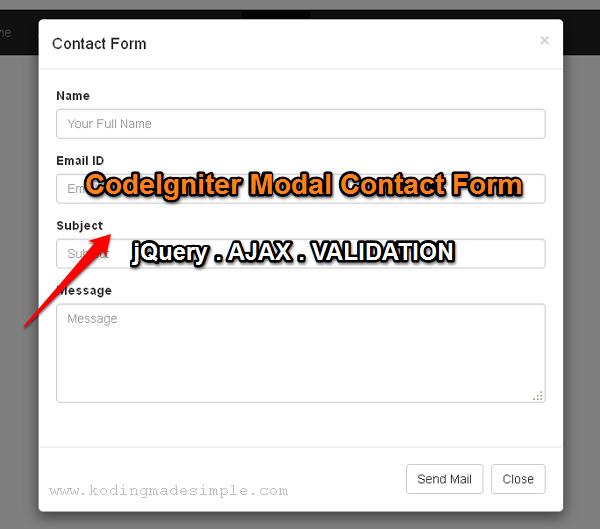 I thought it would be beneficial to kodingmadesimple.com readers if I provide it as a separate tutorial and in this article I’m going to show you How to Build a Proper Modal Contact Form in CodeIgniter with AJAX Field Validations. 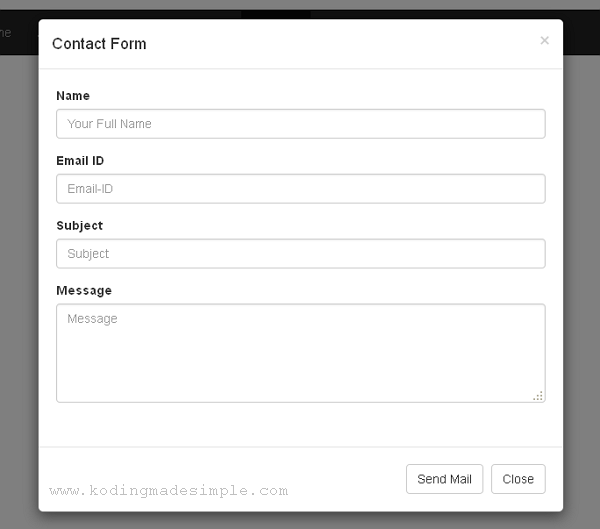 Though the features of the modal form we are going to build would be similar to regular contact form, it become little bit tricky in the way we do form field validations. Since we can’t afford to refresh the page by submitting the form, we should go by AJAX technique to avoid page refreshing. One thing to mention here is I wish to validate the form input on server side for security reasons even though you can do it on client side. Let’s see how to implement this in codeigniter. To build our modal form, we are going to use Twitter Bootstrap CSS since it provides easy-to-use modal component and it fits our purpose. In order to use bootstrap in codeigniter you have to properly integrate the two frameworks. It’s very simple to do it and if you don’t know how, read this article to setup bootstrap css in codeigniter framework. Modal Form is just like any other web forms but it opens up as a popover, so it should be invoked by clicking a button or a link. For better understanding I’ll show this with an example page, consisting a top navigation menu with ‘Contact’ menu link and upon clicking the contact menu the modal contact form should pop up. Then using the ajax technique we should post the form data, run validation check and display if there are any validation errors at the bottom of the form. If it passes validation check, we should configure and send email to the site owner’s email address and provide proper message alerts to the user. To implement the modal form we should create a controller and a view file (for interface) in codeigniter. Since we are going to process the form data and send it as email there is no need for model file. First create a file named ‘modal_contact.php’ inside ‘application/controllers’ folder and copy paste the below code to it. The constructor function loads the essential helper & libraries including the ‘email’ class for sending mail. The index() function is the default one to be called when we invoke the controller and it loads the view file (this we will create next) to show the form interface. The submit() function is where the form data is posted through ajax call, run validation check and send email. Here we set the validation rules for all the form fields and run validation check. 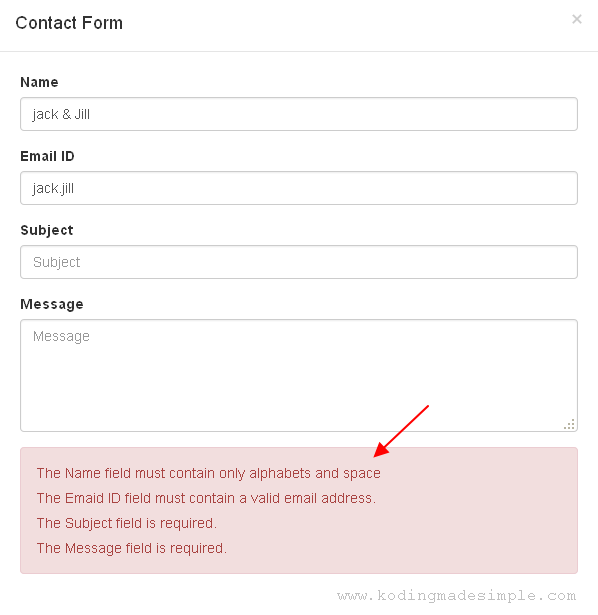 If there is any validation error then we display it at the bottom of the form. The statement echo validation_errors(); will return back all the validation error messages. This in turn will be received by the jquery ajax function and displayed at the bottom of the modal form interface like this. If there is no such validation errors, then we configure the email settings and send the mail using $this->email->send(); statement. 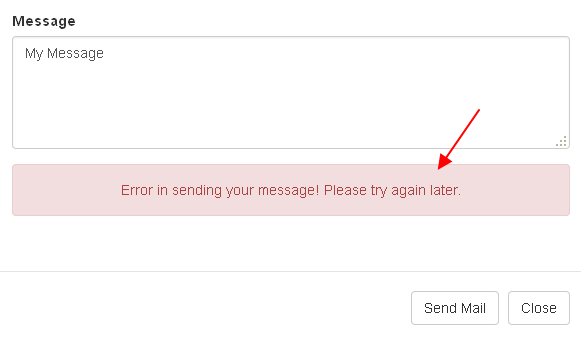 We also notify the user if their message is properly sent or not. Now it’s time to create the modal interface. Create a file named ‘modal_contact_view.php’ inside ‘application/views’ folder and copy paste the below code and save. The <nav> element creates responsive navigation menu using bootstrap’s navbar component. Next we have created the modal form with id #myModal and invoke it using the data attribute data-target="#myModal" when the user clicks on the ‘contact’ menu. At the bottom of the markup we have created a jQuery script to run when the user clicks on the ‘Send Mail’ button and it collects the form data and post it to the controller’s submit() function. The return value is received and the appropriate message alerts are displayed on the div block with id #alert-msg. That’s it. We have completed the coding part. Now run the controller in the browser and you can see a page with navigation menu like this. Next click on the ‘Contact’ menu link and the modal form pops up like this. When you feed the form data and click on the ‘Send Mail’ button, the form data is submitted and processed via AJAX call and appropriate success or failure alerts will be displayed like this. Now we have created a working modal contact form in php codeigniter framework. If you want to store the contact form data into database rather than sending mail, then read this codeigniter contact form tutorial with database storage option. To take it a step further, what would one need to do to implement additional code that would reset/clear the form, disable the 'Send' button, close the modal window, or all three upon successful submission? Thanks!!! you can delay the execution with sleep(2); The process will delay by 2 seconds here. awesome tutorial. I'm integrating this into an old project. problem is, in my view I'm not displaying all the validation error messages at the bottom, I'm displaying each error message below their individual input field, with echo form_error('the_field_name'); how should I modify your controller/view to achieve this? is that possible to use the form_error ? i would like to write the error just below the field. hi. I tried to do but my one doesnt work? hi. i tried a lot but doest work???? hi. i tried but doesnt work??? Server should be configured for sending email. If you try from localhost make sure to check php.ini settings for the line 'smtp=localhost'. Remove semicolon in the front. 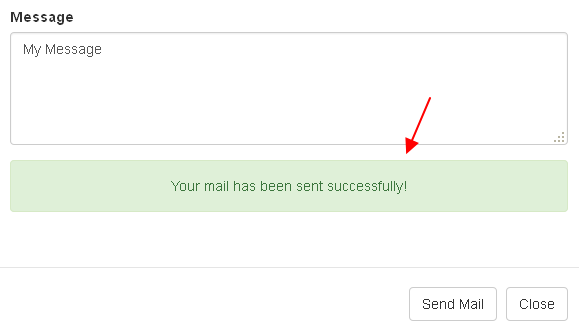 Hey, I use same config value to send mail from SMTP server. It works fine on localhost, but getting this error when upload it on live server. Then make sure you have permission to send emails on your web server first. Do you mean "gmail" server. How should I check for permission. The server may also have a firewall rule that closes port 465 in the OUTPUT rules. I had this problem with xampp in local mode caused by the Avast antivirus. Would you like to make the third version of this tutorial implementing it with bootbox ;-) ? Thank you for your tutorials they are always cool!! !